It’s hard to put everything associated with selling a home into priority, as to what thing is more important than the other… they are all very important. Selling a home is complicated and requires extensive knowledge of real estate laws, negotiation techniques, and common local sales practices. It also requires the skill and expertise to deal with unexpected bumps and turns as the sale progresses from start to finish (and if you don’t think unexpected bumps and turns will happen, well, you are either just unaware or possibly deluding yourself). It’s important to know that, even after a home sale closes, mistakes can come back to haunt you. Any error made when selling a home can surface weeks, months, or even years after the deal closes. Lawsuits are extremely common in real estate, and frequently, they aren’t the cheap kind. Realtors are trained extensively in how to deal with problems, or even better, how to prevent them; they also have the supervision and assistance of their experienced Manager or Broker to help them when any of the usual or common turbulence arises in just about every home selling transaction. 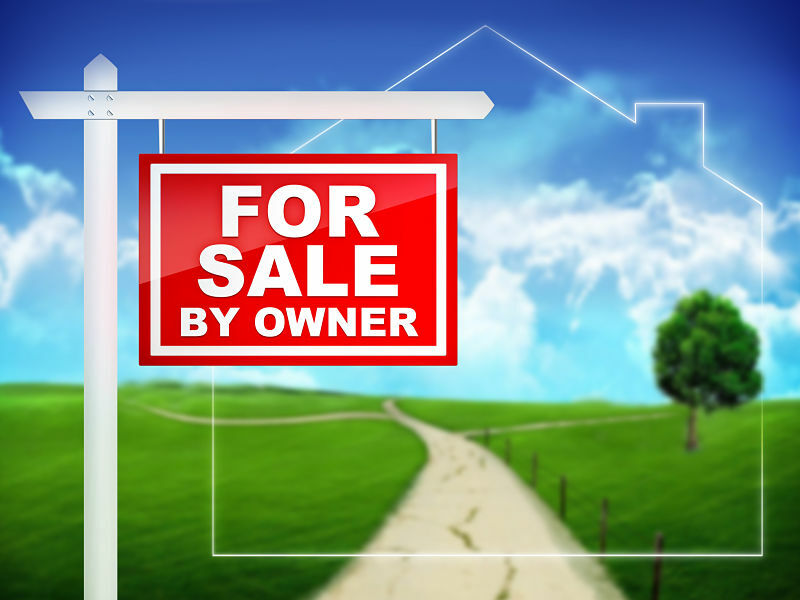 Owners who intend to self-represent their own sale (For Sale By Owner, or FSBO for short) take risks that they are largely unaware of and frequently expose themselves to problems, including lawsuits, that could easily be avoided if an experienced professional were helping and/or advising them. Advertising includes many things. It’s the photography, it’s the home’s “curb appeal”, it’s the interior cleanliness and showing condition of the home, it’s the wording and price information included in your ad, and it’s selecting the best websites to post your ad on. There’s an old saying in business that “you can’t sell anything unless people know about it” and that holds true for homes for sale too. Photography and Ad presentation are two areas where most FSBO homeowners, and too many Realtors, fail to do their best. There’s a big difference between ‘professional’ and ‘non-professional’ photography, and the two are easy to spot. The Ad, second only to the home itself, is one of the most important elements of selling your home. Even the best home, when represented by poor quality photography, can have difficulty drawing in qualified real estate buyers. Ads should be of the highest quality, and the photography needs to be the best it can possibly be. Poor lighting, shadows, uneven “light balance”, and even your own personal furniture can affect the quality of photos. Photos are usually the first thing people see when looking at homes for sale online, and if they’re really good, you’ll probably get far more traffic than if they’re poor or worse than average (unless you’re overpriced, in which case, showings will be slow or absent altogether). The venue of advertising is also very important. Newspapers and other print publications are an age-old favorite of the FSBO seller, but studies show well over 90% of home buyers find their next home online. Print advertising can be a waste of money, and knowing which websites to advertise on can make the difference between a quick sale and one that never materializes. Many real estate brokers invest heavily in their own real estate website, so when listing with a broker, you leverage the investment they have made in real estate digital marketing. When a Buyer expresses interest in seeing your home, it’s important to get them in as soon as possible. Showings can be requested at all hours of the day and into the evening, and if the FSBO Owner isn’t available to open the door, it can be quite easy to lose a buyer. Buyers have it hard enough, there’s no good reason to make it even harder for them by having an inconvenient showing schedule, or even worse, just not being able to show it at all. Many homeowners have jobs and other requirements that interfere with an open-schedule for showings. If you aren’t able to accommodate each and every showing, you’re wasting valuable time and possibly missing out on your buyer. Not to discredit all Home Owners, but Realtors have been trained to sell homes and know what they’re doing. Realtors also know that FSBO Sellers often need help, but most of the time the homeowner doesn’t. So Realtors will solicit you. For one, Realtors work with buyers all the time. They have access to people, networks, and tools that homeowners just don’t have. They may be actively working with a buyer that’s right for your home and want to discuss it with you. So please don’t get upset when a Realtor shows up at your door with questions. It’s just their job. It’s also extremely worthwhile to mention that Realtors usually have access to many, many more home shoppers than the average FSBO owner ever does. Also worthwhile to mention, it’s not cheap to find and engage active buyers, so please also don’t get offended if you get asked whether or not you’re willing to pay a commission for that Realtor to bring you a buyer. Contracts are probably the FSBO Seller’s biggest uphill hurdle… where to get a good Sales Contract? In some areas, that document is called a "purchase agreement". Some states have a mandated sales contract or purchase agreement. Realtors would have access to State approved Realtor’s Association contracts and forms of all kinds. Most FSBO Sellers only have Google, or possibly Staples. Be aware and cautioned… most public or online real estate contracts are, at best, weak and full of open loopholes. If you do get your contract online, unless you pay an Attorney to review it, there’s no way to know its quality, whether or not laws have changed since it was written, and how far it may (or not) go to protect you if/when something goes wrong (realize many times a home-sale doesn’t go completely as planned). Realtor contracts are often heavily scrutinized, revised, and edited as time goes by and laws change. Realtor Associations rely on a broad range of experienced Real Estate and Contract Attorneys to ensure all forms and contracts the Realtor uses are safe, solid, and in compliance with current local, state, and federal laws. So if you aren’t a contract expert and just decide to use something you found online, cross your fingers and hope it flies. You might also want to put an Attorney’s phone number on speed-dial because odds are high that you’ll need one sooner or later. Again, the “negotiation table” is another place where Sellers often make huge mistakes and get themselves into trouble… or, at the very least, lose money. For FSBO Sellers, it’s imperative to recognize that the Buyer KNOWS you’re selling FSBO to save money and possibly cut corners. They know what you’re doing and they’re going to want in on a piece of that savings as well. Many times, due to the limited numbers of Buyers that FSBO Sellers draw, you may only get one chance at selling. Buyers can easily take the upper hand and pressure a Seller into lowering the price so they can also get a cut of the Seller’s “cost savings” for not having paid for a Realtor. FSBO home sales, on the average, sell for prices anywhere between 5 to 10 percent less than homes represented by a Realtor. So if your intention in selling FSBO to save on the 6% commission, recognize that you just blew those savings simply by not hiring the professional. Keep in mind, when a home is being sold FSBO, it's generally to "save the commission". When a buyer is looking to buy a FSBO home its usually to "save the commission". Needless to say, with only one commission both cannot achieve their goals. What you end up with in many instances, is two parties, both trying to save money, both not being too very familiar with the process. Need To Get Your Home Sold Fast? If you are looking to sell a home and want to get top dollar, statistics show that using a real estate agent is your best route. Contact Elevate Realty Group today to get your home sold fast!